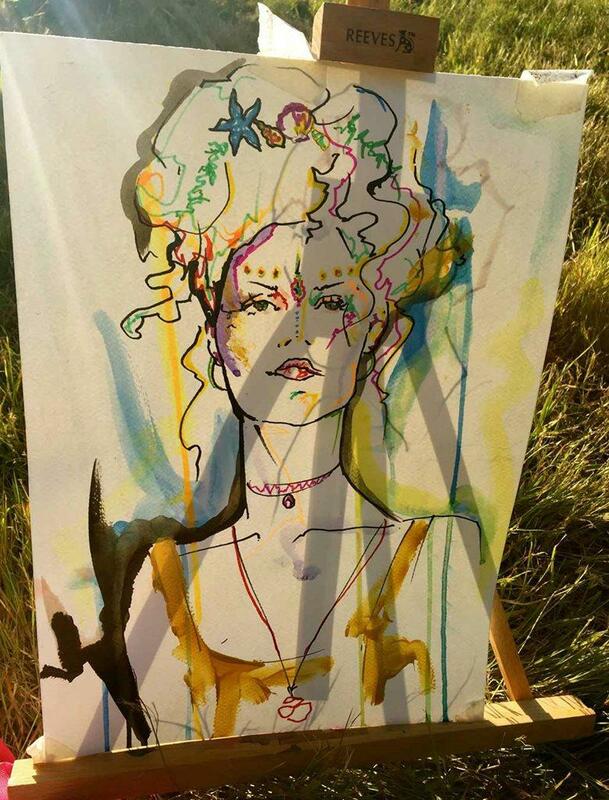 From behind her easel, speed painter & London based artist Marye sits in glamorous ropes and creates colourful quick impressions of people using various mediums, amongst these are watercolours, inks, pens and acrylics. 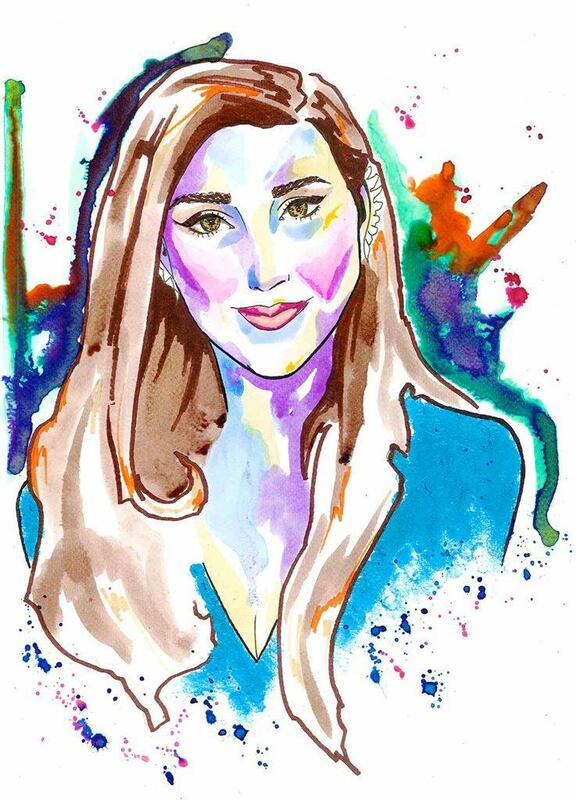 If you would like to amaze the guests at your corporate events, parties, or wedding with Marye’s amazing portraits of them, she is available for hire through Contraband. 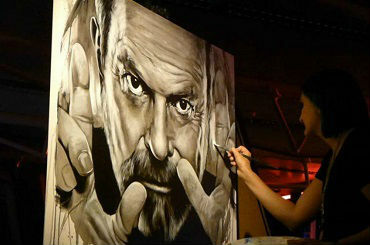 In a short space of time, usually around 15 minutes, a full blown piece of art is conjured up in front of your own eyes. Capturing the essence of the soul with her paintbrush forming a magical moment together with the muse, a true collaboration. With her back facing the audience the spectators get the full show of the making of these images as they stand around in crowds waiting for their own portraits to be taken. 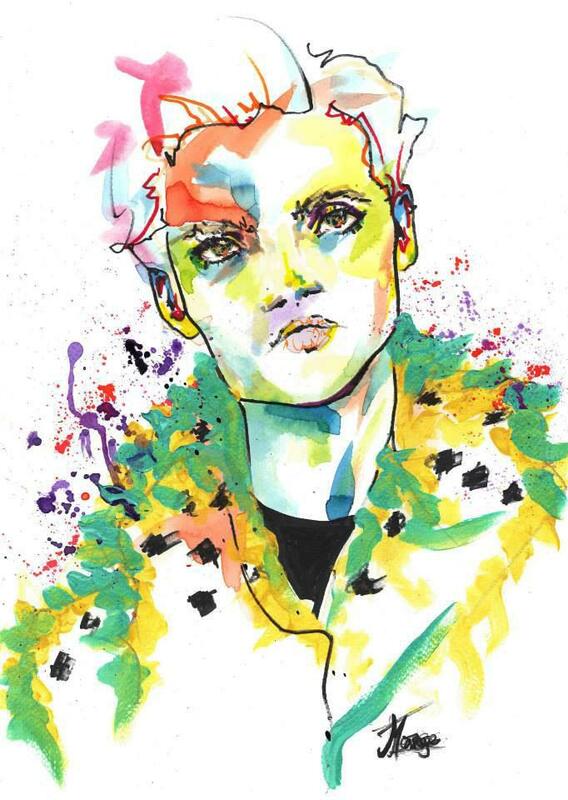 With a degree in Fashion Illustration from London College of Fashion and a great interest in the human form her paintings have a contemporary, lively feel. Nothing is black or white, therefore the use of colour in unexpected places is what makes these portraits so unique. A great deal of attention is focused around the eyes bringing out inner realms that hide inside each of the people sitting in front of Marye. At the end of the experience the partakers get to walk away with a truly special and one of a kind piece of art that has captured a moment in time that will last forever. We really enjoyed working with Marye as her artistic, colourful and beautiful portraits really added something different to what our guests would have expected from a portrait artist. 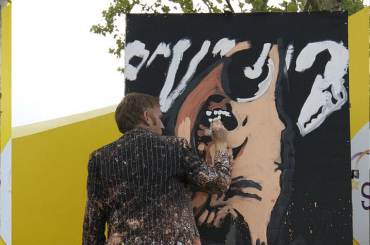 She was a very popular addition, with people lining up to get their very own masterpiece. She was professional and understood the brief, and we would definitely invite her back again. Marye has always been an essential part of our collective. 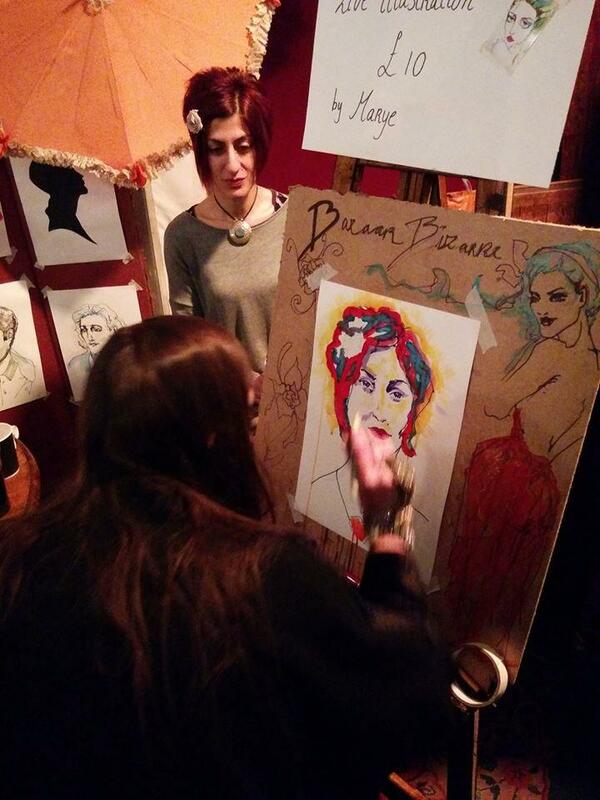 Making the audience of our events come alive through her colourful portraits. 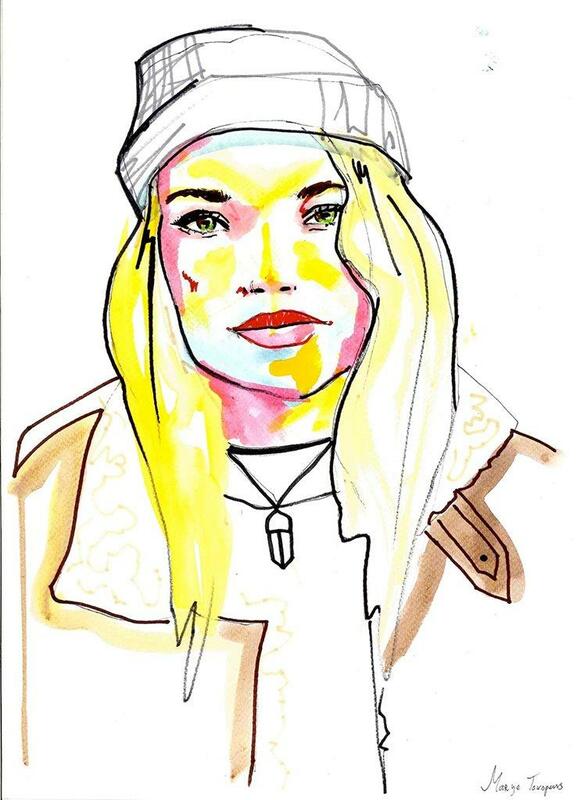 Together with her eccentric personality her illustrations have always been a great addition.